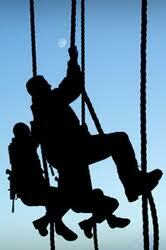 This is one of a series of articles on lessons from Commando training. Here is the full list. Feedback and adaptable teaching styles are valuable performance enhancing tools even in the toughest environments. I recently joined a group of former Royal Marines at an update briefing from the Commandant of the Commando Training Centre, Brigadier Ged Salzano, at the Royal United Services Institute in Whitehall. He shared some impressive statistics with us but also gave some great insights into how Commando training is adapting to incorporate lessons learned from educational psychology - and gamification. 62% of all recruits entering training now pass out successfully, up from 53%. 80% of all recruits have at least 5 GCSEs at grade C or above. 40% of recruits are academically qualified to be commissioned officers. Brigadier Salzano illustrated this last point by mentioning that his Marine driver had a degree in Economics and that they had spent the journey to London discussing economic policy. 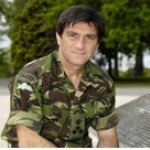 One of the key contributions to the improving pass out rate comes from an educational psychologist on the staff at the Commando Training Centre. When individual recruits struggle with a stage of training the educational psychologist will take an interest and may suggest different ways of approaching the learning challenge that takes account of the particular disposition of the recruit. Since Royal Marine recruits are known as "nods", the educational psychologist has become known as the Nod Whisperer. Recently the Nod Whisperer suggested that 3 recruits who were struggling to master the 30 foot rope climb may have unacknowledged vertigo. The recruits denied fear of heights, but agreed to try climbing wearing blindfolds - and promptly completed the climb successfully. Having cracked it once blindfolded they were then able to complete it without their eyes being covered. Another training innovation is a feedback system in which the recruits in each troop vote for the Corporal that they consider to be giving the best instruction. When the troop passes out and the Corporals are due for posting to different units, the most voted-for Corporals are given first choice and a letter is written to their new Commanding Officer commending them for their performance. This simple piece of gamification both encourages and rewards ever-improving standards of instruction, and directly contributes to the improving pass out rate of the Commando Training Centre. I've written about how games and recognition can boost team performance - and the Commando Training Centre is providing more evidence. Interesting stuff Ben, that's awesome that CTC are looking at innovative ways of maximising their "returns". I wonder how long it will take for stats like 40% of nods being qualified for a commission to impact the "us and them" separation between officers and ORs - or if it will at all. I wonder how big a factor this stratification is in the retention problems that the corps is having at the moment. What do you think?